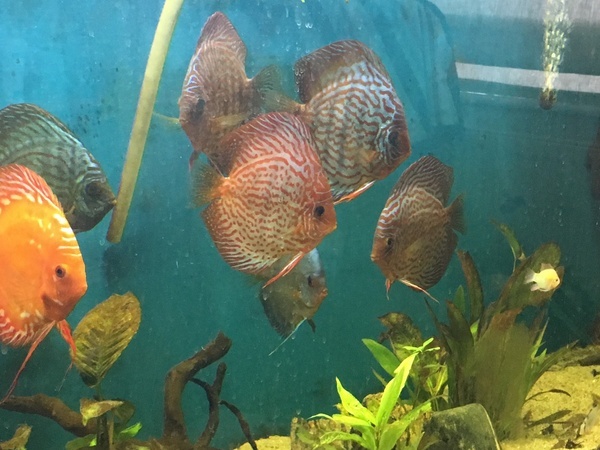 Description: 9 beautiful community tank discus for sale kept in a mixture of HMA and rain water. Established over many years of fishkeeping these adult fish are high quality fish from Naga and Stendker UK suppliers. All fish are 6+ inches in size feeding well and a mixture of male and female. Varieties include stunning Marlboro red, blue diamond, jaguar pigeon, silver pigeon, turquoise, and red scribble. Focus for me is to see the fish going to a good home preferably as a group.